Human Rights Foundation (HRF) urges President Barack Obama to demand a renewed investigation into the disappearance of civil society leader Sombath Somphone during his visit to Laos to attend the U.S.-ASEAN Summit. The first sitting U.S. president to visit Laos, President Obama arrived in Vientiane on Tuesday morning and met with Laotian President Bounnhang Vorachit. On August 25, HRF, along with 44 organizations and individuals, addressed a letter to President Obama asking that he pressure the government of Laos to investigate into Sombath’s disappearance and create a safe public domain for non-profit organizations and independent media. Sombath was abducted from a police checkpoint on December 15, 2012. Family members were later allowed access to CCTV footage that showed Sombath being abducted, but the government of Laos has maintained its lack of involvement in the abduction. Sombath received his education from the University of Hawaii, where he studied Education and Agriculture. In 1979, he returned to Laos and initiated various successful community development projects and youth leadership training programs, and received the Ramon Magsaysay Award for Community Leadership for his work. 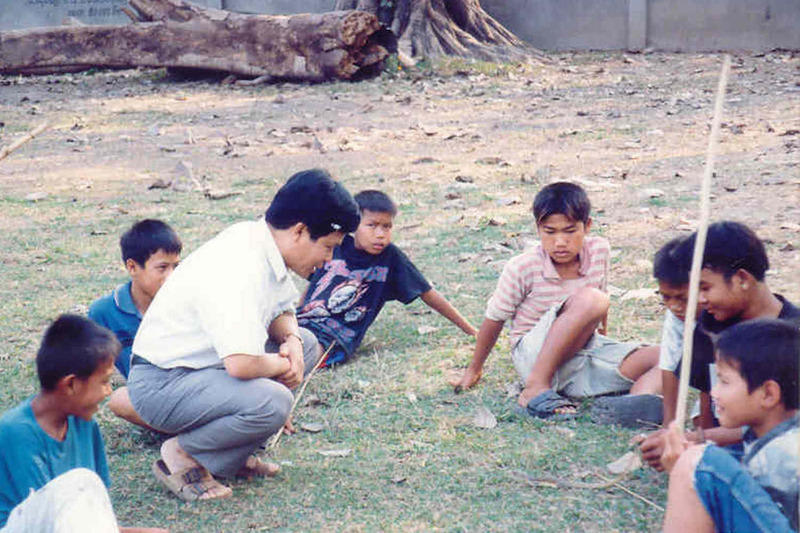 Prior to his disappearance, Sombath was involved in the Asia Europe People’s Forum and served as the bridge between the international communities and the government of Laos for the forum. “This year marks the fourth year of Sombath’s disappearance. Despite clear evidence on the CCTV footage suggesting that the police was involved in Sombath’s kidnapping, the government of Laos has repeatedly lied and continues to deny any responsibility,” said Thor Halvorssen, president of HRF. “For the remainder of his stay in Laos, President Obama should use his power as chief of state of one of the world’s strongest democracies to speak on behalf of Sombath’s family and confront the government of Laos over its appalling human rights record,” he added. Earlier today, President Obama’s top aide, Deputy National Security Adviser Ben Rhodes, stated that he will meet with Sombath’s wife, Shui Meng Ng, on Thursday.